1 February 2016 by . The subject of today’s reflection is “Evangelising the universe with the faithful brothers and sisters to God”. The last time we spoke about the angels, their mission, the importance of setting up a relationship with them, who act particularly in spirit, and the preparation of our spirit to welcome the Son of God. Today we will speak about the faithful brothers and sisters to God in the universe. As we go ahead step by step, we will try to show you the puzzle of the communion of the family of God, the Church of the whole universe, and the parts it is composed of: the faithful brothers and sisters, the saints, the brothers and sisters in Purgatory, we who are on our path along with the Church of the Earth who responds to these programmes. How are we participating in it? We will try to help you give your response in order to enter this universal communion. Today we will share a text with you that contains the words St. Peter addressed to us explaining his experience and that of the twelve apostles in the their encounter with the faithful brothers and sisters at the beginning of Christianity in which both parties were aware of the fact that the Earth would not be able to spread the message of the Gospel neither on the Earth nor in the whole universe. Many of you have read this message of St. Peter. We will listen to a part of it tonight so that we may become increasingly aware of what should have set off at the beginning of the Church. But we will also speak about this because the faithful brothers and sisters are already in the low universe. They have already visited some planets and we will tell you some concrete things as well the perspective of a communion among them with us. So, open up and listen to this text because due to this text we may open ourselves to the communion with the faithful brothers of the universe. Jesus’ teachings about the universe were part of those things that He explained to us separately when we were alone with Him; […] Jesus had been clear with us: the Christians of the Earth would have to announce the salvation to the whole universe. Jesus helped us in every way; as He had promised us, He was with us in spirit and guided us. Many miracles occurred through us and we too were strengthened day by day. Then two very important incidents occurred, not only for us but for the whole Church. The first was the visit of some brothers of the universe faithful to God and the other was the conversion of St. Paul. The first episode has never been reported to you, the other has. These two events marked a turning point in the life of the Church. A short time after Pentecost as we were united in prayer, some brothers and sisters from different planets faithful to God visited us. Apart from us apostles the Mother of Jesus was present and also other disciples. The men and women of those planets introduced themselves as our brothers and sisters who had been entrusted by Jesus to help us in everything and to assist us in the delicate mission of evangelizing the universe. They were similar to us and yet their bodies had features unknown to us; it struck us that they arrived despite closed doors as Jesus had done. The first thing they did was kneeling down before Mary, the Mother of the Lord, and they thanked Her in the name of the faithful humanities; then they asked for Her blessing. They embraced us and turned to me in particular as the elder of the Church who had been entrusted by Jesus Himself with gathering His flock. They knew everything that Jesus had told us. They spoke about the life on their planets, their experiences and what they could do for us. I admired their humbleness: those men who seemed as powerful as angels asked me, humble fisherman of Galilee, what to do. I felt unprepared and expressed it; they answered that I should not fear; Jesus had chosen me for this task and would give me every grace; they were there to collaborate fully in the action of God in me and through me. They put themselves at the service of the people on Earth to enable the emerging Church to announce to the whole universe the message of the Gospel according to the mission entrusted to her by God. They would have helped us spiritually and physically preparing also our bodies to move in space; priests, scientist and doctors were among them. We were all enveloped by the power of the Holy Spirit: it was a meeting of brothers who love each other, children of the same Father, united in Christ under the gaze of Mary Most Holy. I welcomed them and declared that I was personally ready to do what the Lord would ask me. I accepted their collaboration with gratitude. The other apostles and disciples did the same. I remember well that the Mother of Jesus smiled being happy about this encounter. We were certain that that unforgettable day would be the beginning of a journey of transformation and elevation, not only for the Church, but for the whole humanity of Earth. The seed of the new creation had been thrown; we were aware of the enormity of what was opening up before us, though. The brothers of the universe who had visited us thanked us for our agreement and blessed us; however, they said that our personal yes was not enough: the faithful people had to be informed of their visit and they had to fully accept the collaboration of the brothers of the universe. The Lord wanted the Church to be unanimous and free in its decisions. Our brothers would wait for our response accepting the will of the Church whatever it would be. We committed ourselves to inform the faithful about all this. The conversion of St. Paul marked a further step. The Lord had called him to announce the Gospel to the pagans, not only of the Earth but of the whole universe. St. Paul knew God’s plan very well, and he had been particularly instructed about the reality of the cosmos by the Holy Spirit; he had made many extraordinary experiences in this regard. He was ready to evangelize all the peoples of the universe. The depth of his spirit and the power of his thought were indispensible to introduce the believers to the work accomplished by Jesus. The Apostle Paul had a strong personality and allowed no hesitation when dealing with issues: he prayed, reflected and acted rapidly. Therefore, he wanted to speak to the believers as soon as possible about life in the universe and the mission of the Church to make them decide whether they accepted this aspect or not in order to set off for the mission awaiting us. I was more careful: I thought that at first it would be good to consolidate the Church in her mission on Earth and, in the meantime, teach the faithful about the further realties of the universe; I did not want to create panic nor anticipate times too much. I knew that many would not have understood. There was never any disagreement between St. Paul and me, only differences in our views; he was educated in the things of God, totally turned towards Heaven , able to lift up to the highest peaks of the spirit. I was the fisherman of Galilee, a practical man and shepherd of a various and still weak flock. We decided to leave the decision to the board of apostles. The cautious approach prevailed: to inform first those whose faith was stronger and their mind more open and then the rest of the people. In the meantime we would watch the development of the Church to understand how to proceed. St. Paul, as a man of God, accepted our decision asking only to be able to dedicate himself specifically to the pagans of the Earth to teach them and to prepare favourable ground for the future mission. We have given you testimony of the situation on the Earth and in the whole universe, especially in the book “The Universe and Its Inhabitants”. One of the things we have told you is that the humanity of the Earth as well as the Church will not be able to get out of this tunnel by themselves and will need help. This is our firm testimony. On the Earth the people’s mentality is already changing towards the acknowledgment that life in the universe exists, even though it is far away from true knowledge about life in the universe. The mission of the evangelization of the low universe has begun; it has been said to us that the plan of God is carrying on and no-one will stop it because God wants to lead humanity to join the plan of God in the new creation. So, in the same way as the angels are present in the universe and especially communicate the life of God in the low universe also the faithful and obedient brothers to God are present and directly in communion with the angels. The faithful brothers and sisters have already visited some planets where they have found very backward population: pagan populations with pagan rituals without any knowledge about salvation. How do the faithful brothers and sisters introduce themselves there? They do not appear as winners or people who have very advanced abilities to do magic; they do not want any violence, even on the spiritual level. As we have explained in the book “The universe and Its Inhabitants”, when the humanity of the Earth was in a very primitive state, they came as brothers to help us develop the spirit; by promoting the spirit of man in the Spirit of Christ who leads to the Father they made the humanity of the Earth progress, which was of basic importance for the humanity of the Earth. Now they introduce themselves as brothers and sisters who want to help humanity to progress, clearly by coming with their own power that they use to do good, yet without using violence on the people, not even on a spiritual level. We on Earth are different. We have Christianity: men and women who have known Jesus Christ; they have received the Holy Spirit and could actually awaken more rapidly. There is an impediment that makes the Christians on Earth passive: they have welcomed baptism almost as a magic ritual which cancels original sin. You doctors and psychologist, think of a child that carries some deep wounds since childhood; think of how difficult it is to transform it; think of our life, thousands and thousands of years under the shock of original sin; the wounds are still there. If you wish to understand, look at the saints and how difficult it was for them to be transformed and to become new men. So, this is the moment to awaken to our responsibility. In this sense the next time I will speak to you about the suggestions of St. Paul on how to deal with certain situations while being in communion with the faithful brothers of the universe. We have shared with you the testimony of the faithful brothers, but tonight I would like to highlight some essential points for you to think about the direction the humanity of the Earth is taking to be recapitulated in Christ. All these missionary brothers and sisters act in nuclei, that is, in couples, man and woman, a priest, a doctor, a scientist. Does the word “couple” mean something to you? In the faithful humanities not only the one or the other, but the whole humanity remained faithful; man and women have kept the primordial graces so that harmony is between them, and they transmit this harmony to the new generations through their children. Man and woman in communion with the angels are sublime instruments for the government of the universe. Therefore, man and women are in harmony and present in all fields. Think of what a qualitative leap would take place on Earth if men and women lived in the Holy Spirit, faithful to each other and creative in God! How many troubles would disappear! However, putting a man a woman together is not enough – the man and the woman have to walk the path of Jesus Christ, enter His Spirit and live the universal communion to be regenerated and to be able to pass on the Trinitarian power to their children, to the children of others and to creation. I said that they are priests, doctors and scientists who work together in communion because all that is in the spirit of man begins in the Spirit of God. The priest and his spouse, his wife, offer themselves to live united in the Holy Spirit; they elevate all prayers, desires and offerings of others to God; they offer it to God so that all is lifted in the Holy Spirit, and they pass the Trinitarian power on to the doctors and the scientists. The doctors and the scientists do exactly the same because, as has been said about us Christians, we are all priests, prophets and kings. In everyone the priesthood of Christ, His prophetic and royal power has to be awakened and promoted. In each nucleus and in the whole people of a planet of the high universe faithful to God the whole people lives exactly this. What do these faithful brothers and sisters want to communicate us? Would it not be good for you if men and women communicated each other harmony? Would that not be good for this Earth? Would it not be good for you if they showed you the way to health which would lead every day to greater health until we reached the ability to be transformed into new creatures? Would it not be good for you if they transmitted to you the power of the Holy Spirit from whom their technology comes? Have you noticed that came by closed doors? Our scientists think and research about how the aliens move about, that is, the inhabitants of the low universe who are pretty backward, and still more advanced than us in certain subjects; however, the faithful brothers move in spirit, which is something the scientists of the Earth cannot even imagine. Would it be convenient for humanity to live a quiet, peaceful, serene life with enough to eat for everyone and with healthy and good food? 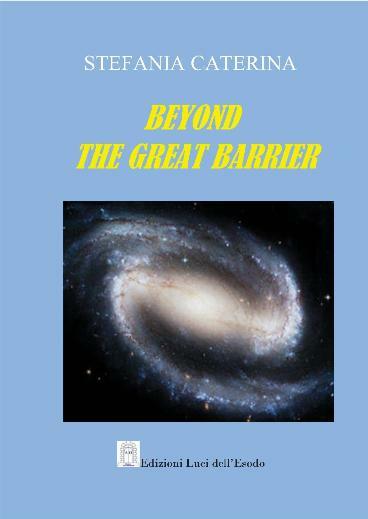 Especially in the book “the Universe and Its Inhabitants” we have shared with you some events in which the faithful brothers and sisters prevented the Third World War. Yet, we know several other events in which the faithful brothers to God intervened and prevented disasters, real catastrophes. Would you not want such things to happen on Earth? I said that the faithful brothers are no winners; they are never violent, nor do they want to destroy anything. They follow the fundamental law in which man is free; man must choose God liberally and the wellbeing that leads him to choose God. So, they come to us as brothers and sisters who want to help us promote the Spirit of God within us, to awaken our dormant creativity because we, men of the Earth, are so geocentric and attached to the Earth and crushed by it that we are dominated by the instincts and the struggle for survival; that is what we fight, kill, destroy for when we are unable to solve our problems. These brothers and sisters want to bring us peace so that evil and war are blocked. This is the sense of the words of Our Lady: “You can block war through your prayer”; however, often people think that they should pray hundreds of rosaries and the problems will be solved. 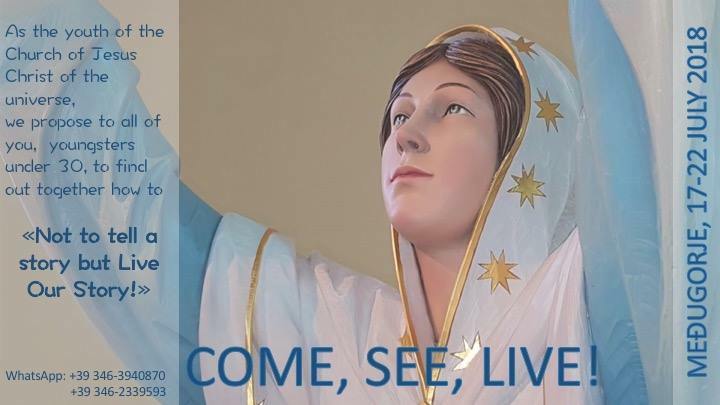 That is not the kind of prayer Our Lady means, but the elevation of the people to the dimension of the Spirit of God who will then act within both the good and the evil: the good will be promoted and the evil will be stopped. Consequently, the faithful brothers bring this yeast, this spirit. We have given you the testimony that the faithful brothers are part of the Church. The question if we should accept them or not in the Church is inappropriate. They are faithful to God; they have been faithful to the Word of God from the beginning; they have welcomed Jesus in the moment He was born. St. Michael announced the birth of the Messiah; they came to adore and help him silently; they were the first to be at the foot of the Cross to venerate the Cross, and they too benefitted from the descent of the Holy Spirit over the Church of the Earth, and for this reason they have been prepared to help the brothers and sisters of the Earth. First of all, the faithful brothers and sisters carry the experience of the Risen Christ in them; the Risen Christ visits them on a ordinary basis. Imagine the encounter of the apostles with the Risen Christ; read the Gospels and you will notice how the apostles progressed reaching their peak at Pentecost and the Ascension of Our Lord into heaven who sent the Holy Spirit over the apostles to make them His witnesses. Also the faithful brothers and sisters received the Holy Spirit and participated in the fruit of the Passion of Christ; they are witnesses of the Resurrection. They communicate us this power. However, you see that, according to God’s justice, He could not appear as Risen Christ to everyone but only the apostles and the disciples who were open to receive that power, that high vibration that transforms people. What does it mean? It means that our response has to be the same as that of the apostles in order to welcome that power that passes now also through the faithful brothers, as should have been from the beginning. St. Peter too bears witness of his experience of the encounter with the faithful brothers and sisters who seemed as powerful as angels. The history of the Church, actually the history of mankind would have been totally different if the faithful brothers and sisters had been welcomed to live with us. Now I turn to you who have decided to accept these programmes and are committed to open yourselves to welcome the Spirit of the Risen Christ and to welcome the faithful brothers and sisters; I turn to you who want the Holy Spirit to be promoted for He was placed in you through baptism and the sacraments and yet is still a seed if you have not committed yourselves seriously in the way Jesus Christ committed Himself for all. When we reach the communion between the children of God of the high universe and us, God will certainly make miracles, but those signs are simply the result of transformation and no magic events. Humanity has to get to the newness in God, and then all will be a miracle, all will be new, as St. Augustine said: the miracles we have seen in the gospel will one day be normal; they are given for our eyes to open up and to continue the path – not to cling to them as to something magical. It is very important that you pray and desire the faithful brothers to transmit the power to you and the contact to begin already now. Then the next step will follow: they want to start communicating with you also by words because the communion has begun. How? It is planned that the new people shall be instructed and supported to prepare also on the Earth the time of the glorious coming of the Risen Christ. I wish you all to enter into this universal communion; may the faithful brothers visit you and may the relationships between men and between man and women become as pure as their communion; may their doctors influence the medicine of the Earth; may their scientists open the eyes of the scientists of the Earth. I bless you; may the Spirit of Jesus Christ fill you and awaken in you all dormant potentials, especially the holiness of life which distinguishes the children of God: holy, blameless before God and in the life of God. I bless you; may Mary’s meekness and humbleness be in you to allow all things to happen according to the word of God, according to the will of God, according to your identity at the moment of conception and according to the mission planned for you. I bless you so that you begin to breathe the new life in you and communicate it to others by wishing to be united with the Holy Spirit that animates all children of God in the universe; in the name of the Father, of the Son and of the Holy Spirit. Cfr Message with the title “A New Time for the Church of God” in the book “2012 – La scelta decisiva dell’umanità”, publisher Ed. Luci dell’Esodo, and on the website http://towardsthenewcreation.com on 23 February, 2013.